There is no doubt about it — parents raising a child who suffers from obsessive-compulsive disorder are presented with an enormous challenge that goes far beyond those of ordinary parenting. What is worse is that there is not nearly as much discussion of or attention focused on OCD as there is for other common childhood disorders such as autism or ADHD. Many parents can wind up feeling isolated, frustrated or helpless as they attempt to cope. Here are some tips, though, which can make parenting a child with OCD a little easier. 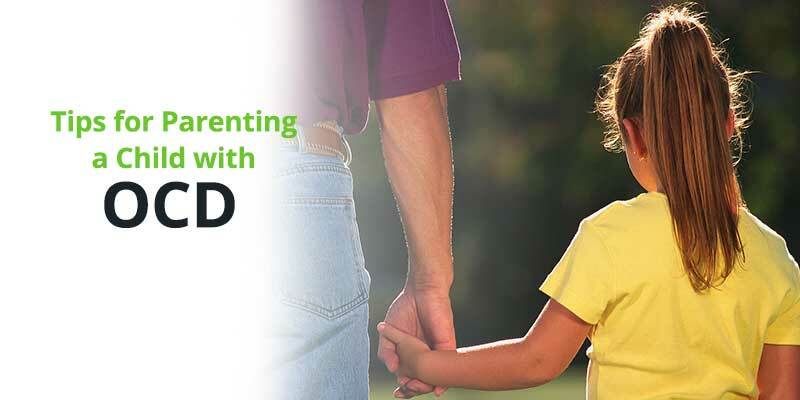 When your child receives a diagnosis of OCD, this can be a frightening and startling thing for any parent to cope with. One good way to cope is to learn as much as you can about it so that you understand more about the disorder — and also about your child’s sometimes bizarre behavior that might not have made sense in the past. As you learn more about this disorder, your empathy with and understanding of your child can greatly increase. And this empathy can make it easier for you to give your child the support he needs. Age appropriate education for your child is also incredibly important. Having a diagnosis — and knowing that other kids have the similar issues to theirs — can come as a tremendous relief to kids who might think that they are crazy because of their beliefs or behaviors or feel ashamed or embarrassed by them. Understand, though, that is is not a “one and done” process: education will take place on an ongoing basis and as your child grows and develops, you can give them more information about this diagnosis. The important thing about names like “Mr. Bossy” is that it makes OCD the common enemy that you and your child fight together: in other words, it unites you. It also gives the diagnosis a feeling of distance: it is not your child that is the problem but their OCD. However, it is also important to choose your battles and to realize that there will be times when your child’s OCD still gets the better of him. Being aware of that can help you cope with those times when you just can’t seem to get through. And don’t be too harsh when your child is having problems with ritualistic behavior — if your child feels judged, ashamed or embarrassed, they may simply start up such behaviors in secret. This will make them much more difficult to treat. Treating OCD is not a sprint; it is a marathon. In other words, progress isn’t going to happen all at once — and there will also be times when your child appears to regress and pick up ritualistic behaviors that you think they have gotten over. Factors like illness, a stressful life event can bring this regression on. While it is easy to get discouraged or frustrated when this happens, remember that for children who begin therapy early for this condition and work with a therapists and at home to conquer it, have a pretty good prognosis. What matters is working with your child and giving them the love that they need — but also realizing that ultimately, it is your child’s fight and that you are there in a supporting role only. While helping your child to conquer their OCD is never easy, following tips and suggestions like the ones above can hopefully make it less of challenge — and less stressful — for everyone in your family!